As much as I hate to admit it, Spring Break is almost over....time to start thinking about school. Luckily, we get to dive into Poetry when we return! I LOVE poetry. I was one of those nerds who loved writing poetry in high school....and even had several published poems back then. I've always loved playing with words and expressing thoughts in unique ways. Not much has changed....I love seeing my kiddos do this, as well! I really love that we teach a reading poetry unit at the same time as our writing poetry unit. 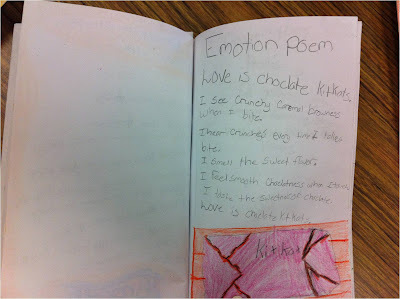 The kiddos are able to read a variety of poems from a diverse group of poets and then use those as models or inspirations to write their own poems! 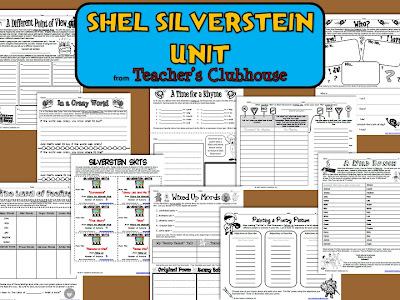 Here are a few resources that I use when working on this genre with my students. 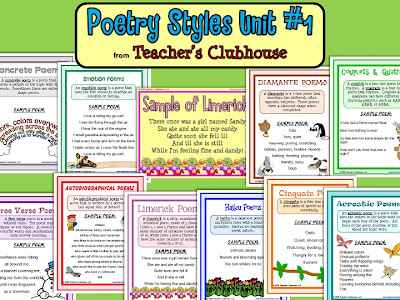 This unit contains the 10 types of poetry that I have my 2nd graders write. 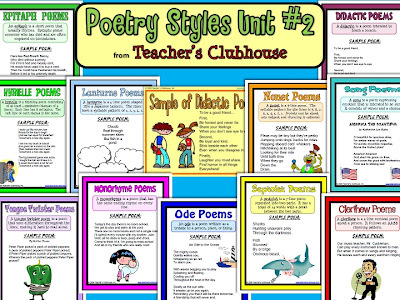 The unit consists of a PowerPoint that explains the format/requirements for each style of poem as well as an original example (written by yours truly). :) It also comes with a PDF poster for each type of poem. 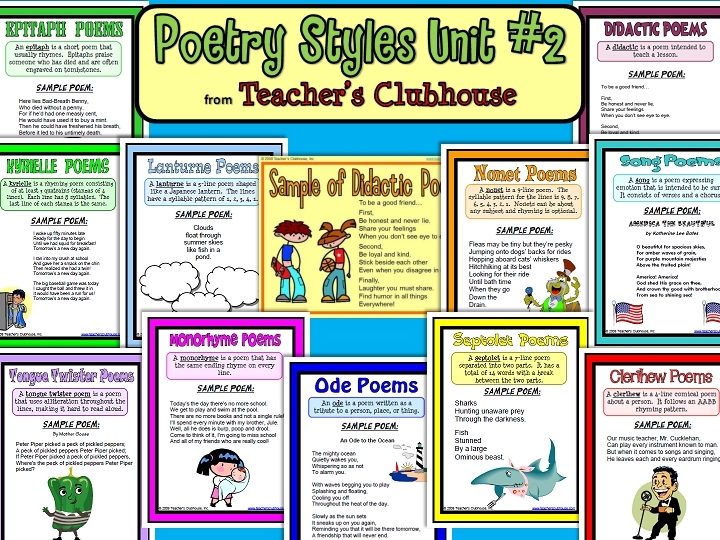 Typically, I use the PowerPoint for instruction daily throughout this unit and then once we've learned about that poem type, practiced writing them, etc I will display the poster for that style of poem in the classroom for students to use as a reference. They often love to go back and write their favorite styles of poem over and over again during free-writing time! 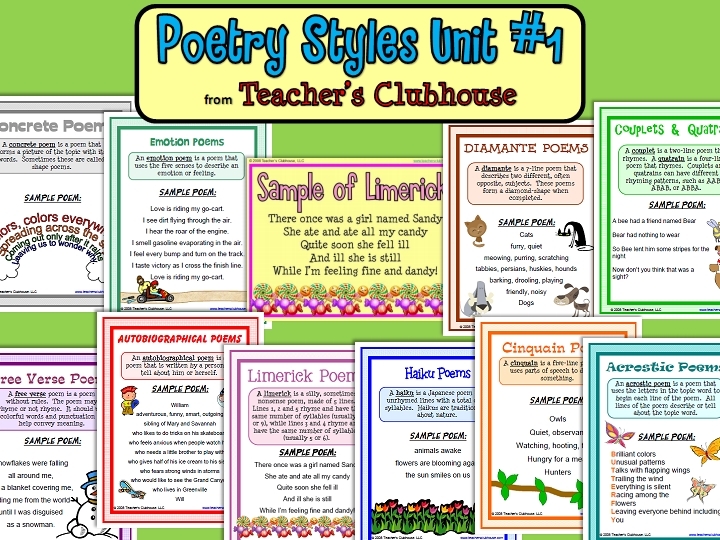 However, if you're looking for a more diverse set of poetry styles to use (probably with older kiddos...grades 3-6), we have a Poetry Styles #2 Unit that digs even further into styles of poetry that students have probably not been exposed to already. Unfortunately, I'm almost out of them now and so I'm working on a "little something new" for our publishing party this year! Once they're published we share some of our favorite poems with parents during our "Poppin' for Poetry" party.....get it? Pop IN for Poetry? We invite families to come celebrate our learning with us! Before we do this however, we have to make sure we are REALLY good at reading poetry to an audience. This means we need to be fluent and expressive. 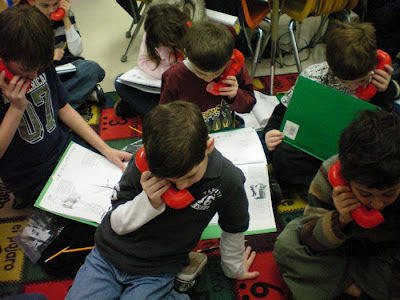 I LOVE to use our whisper phones to help get fluent....if you have not made these from pvc pipes yet, get on it! Google it and head to Lowe's. The cheapest and most effective project EVER and the kids eat them up - they beg for them - honestly! 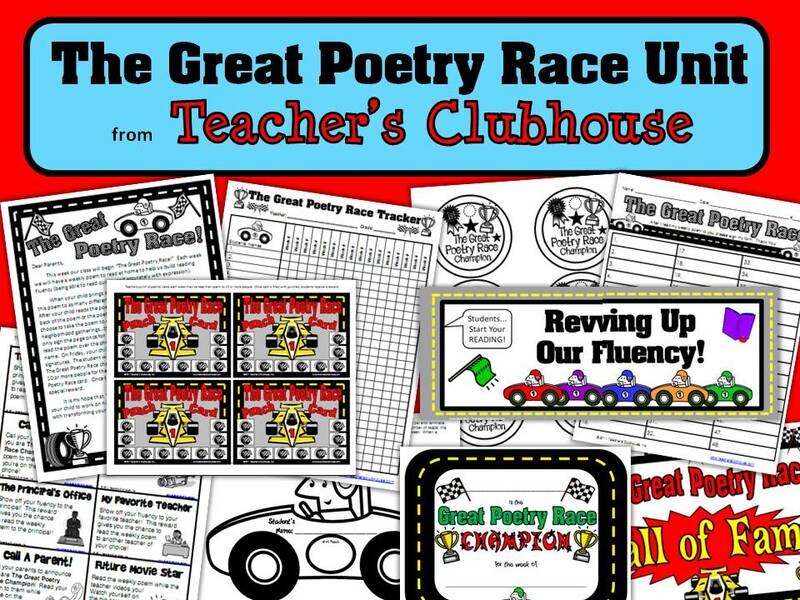 Another way I build fluency during this unit is through our "Great Poetry Race" - I've had success with this project for many years in my classroom and it works wonders for fluency! They are FUNNY, catchy and creative. They really teach students to get into the rhythm of poetry since they're all based on well-known childhood songs. 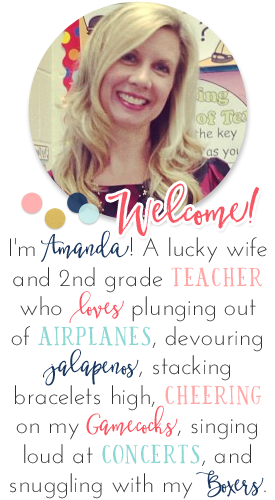 I've even had students to write their own before - they're always so creative and cute! 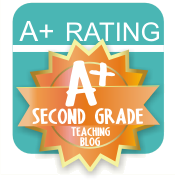 The format is perfect for building on fluency and expression. And, of course, while learning about the craft of writing poems, we also examine poems by some of our favorite authors like Shel Silverstein! I can't wait to finish up my Poetry Celebration resources to share with you! It's the last learning celebration that we invite parents to each year and I'm aiming to make it a memorable one this year! 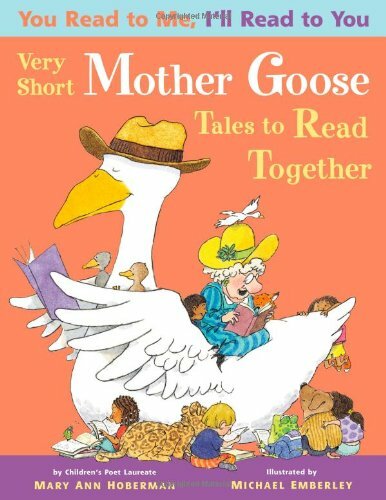 Link up with Sabra at Teaching with a Touch of Twang to share some of your favorite poetry ideas! 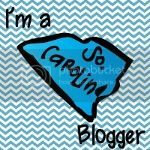 Actually, you can share poetry, weather, or testing ideas at her new Monthly Market linky! Thank you so much for linking up! I LOVE all your ideas, especially when the parents come to listen to their little authors. 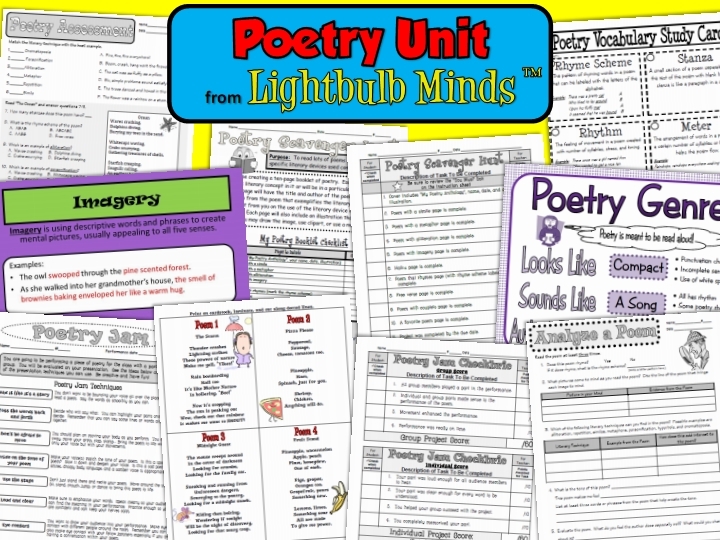 I'm definitely going to check out that Poetry Unit for 3-6! About how long do you spend on this unit? I'm sorry but my computer apparently doesn't like other blogger's email buttons, lol, if you would like a copy of your free April Writing Prompt Calendar, please email me at swilliams214@yahoo.com. 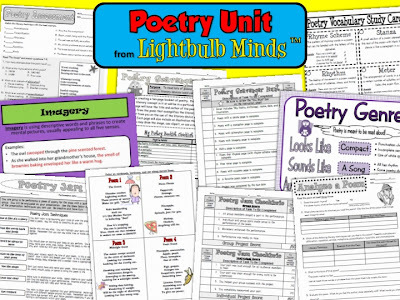 I'm adding the poetry unit 3-6 to my wish list! 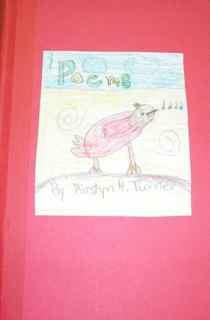 I can't wait to start poetry-we have our big test in a little over a week. 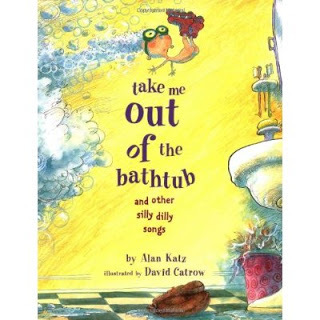 Take Me Out of the Bathtub is hilarious! A Winner and Freebie, Freebie, Freebie (x3)!